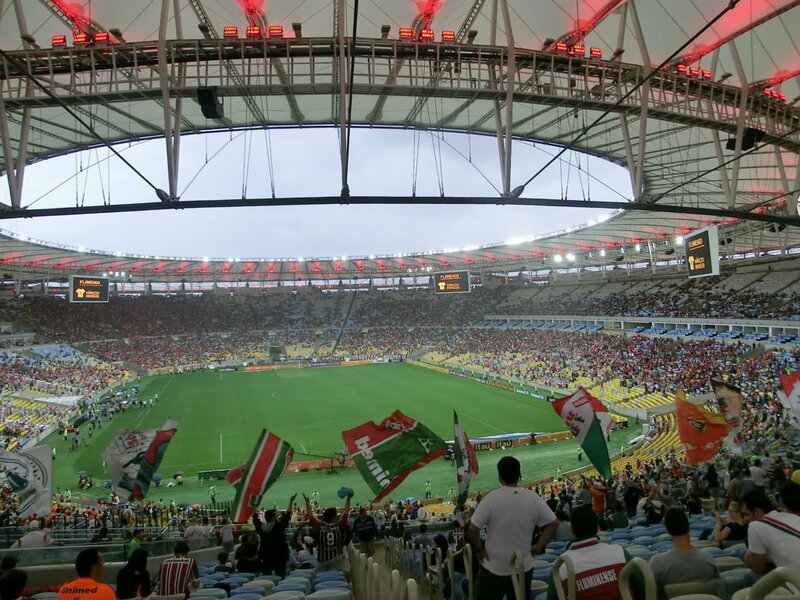 Fla-Flu and Portuguese - Learn Portuguese in Rio – RioLIVE! Through RioLIVE! 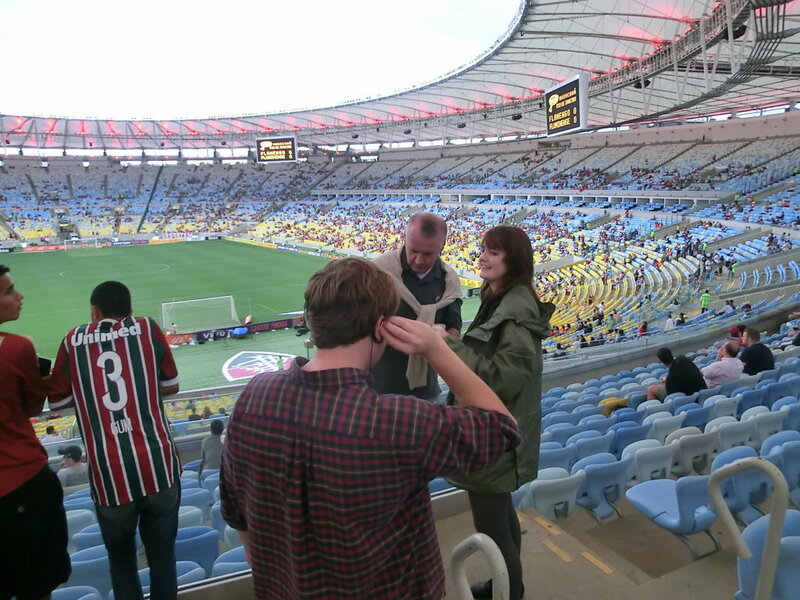 we had the opportunity to visit the famous Maracanã stadium to watch the Fla-Flu game! It was such a great experience! 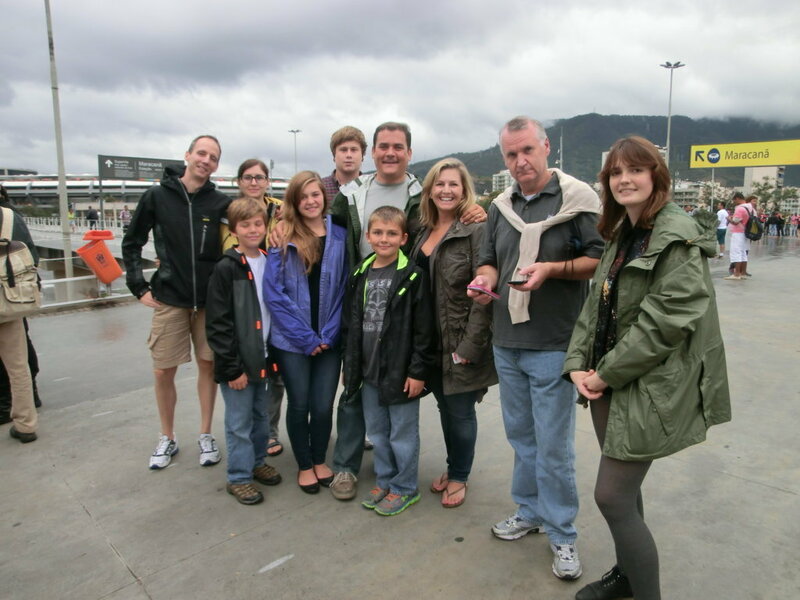 And being part of a larger group made it even more fun! Despite the rain, the two teams delivered a solid performance. 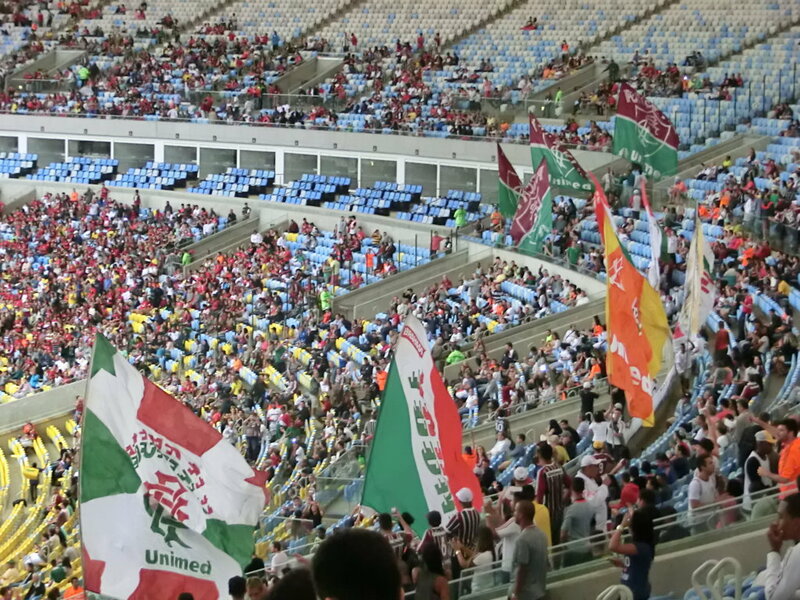 But the Flu fans were the highlight of the afternoon. 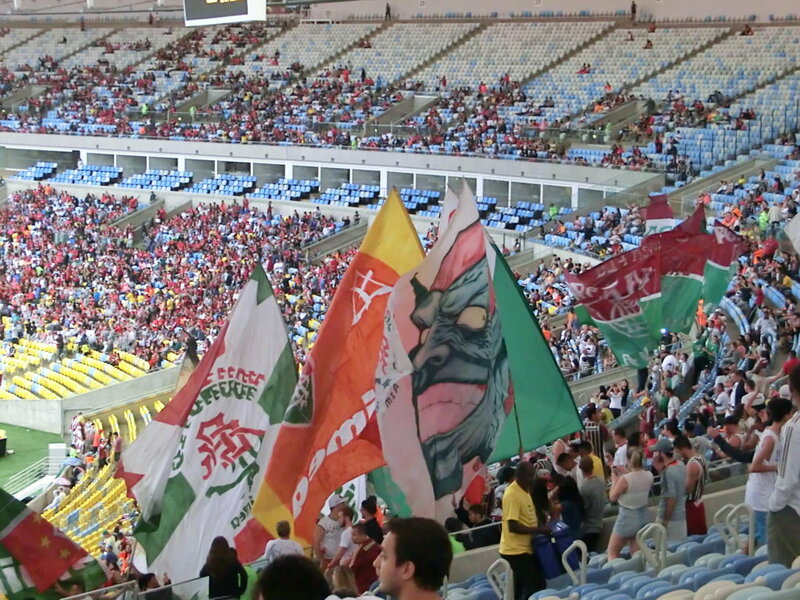 I´m so glad I had the chance to go with Rio & Learn! 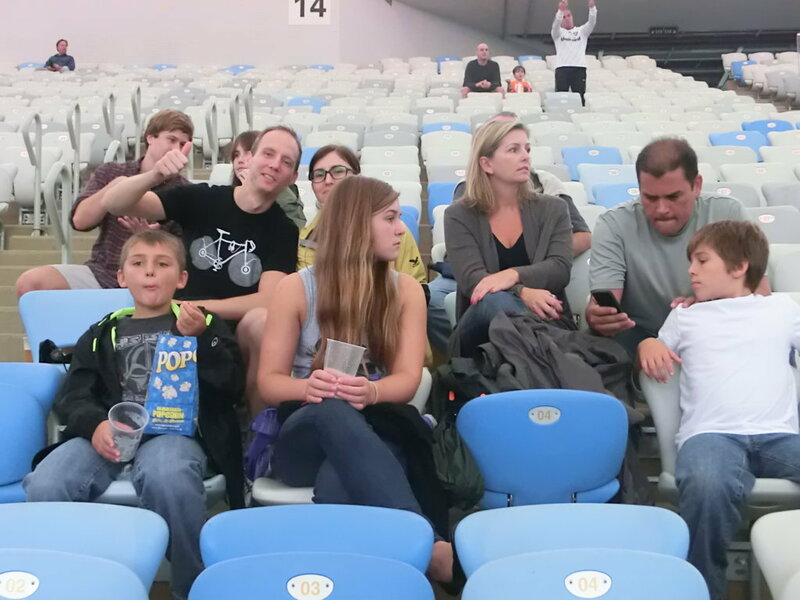 Our students and children really happy at Maracanã. 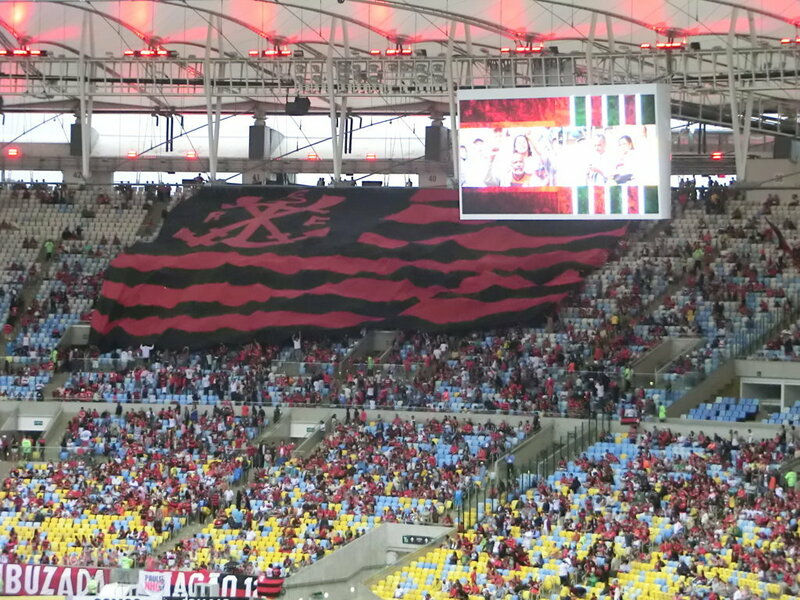 Fla-Flu and Portuguese was our RioLIVE! at this time. 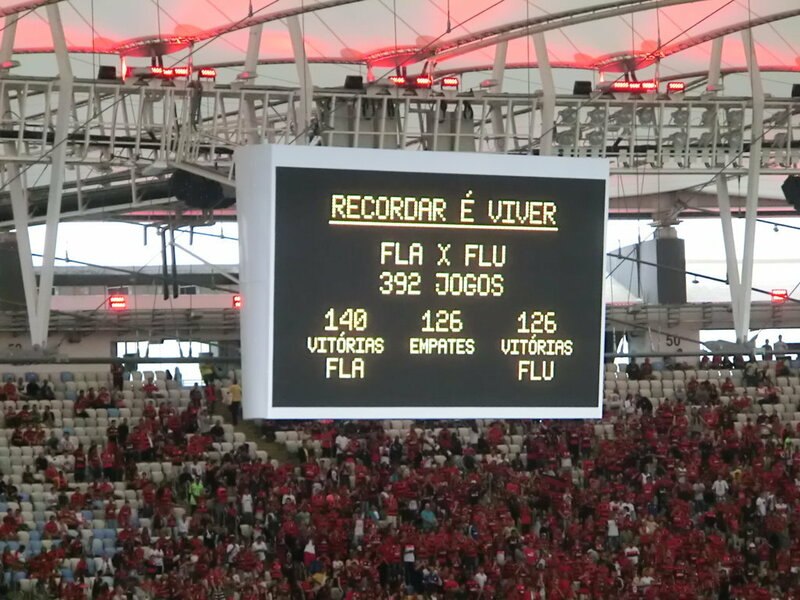 Fla-Flu is one of the most important derbies that we have in Brazil, the rivalry of these teams comes back to decades of great games, titles, victories, frustrations, deceptions… all the feelings that football can offer. 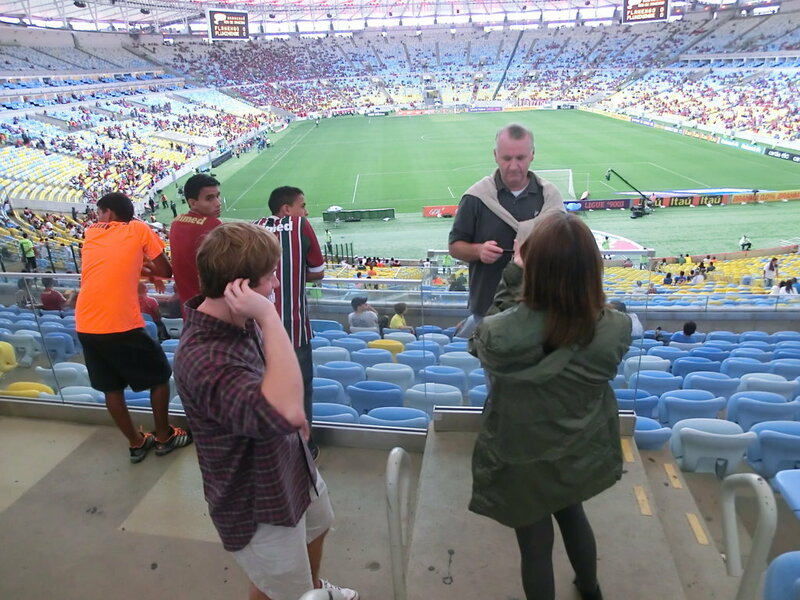 The students of Rio & Learn Portuguese School had the great privilege of watching a mythical game at Maracanã. 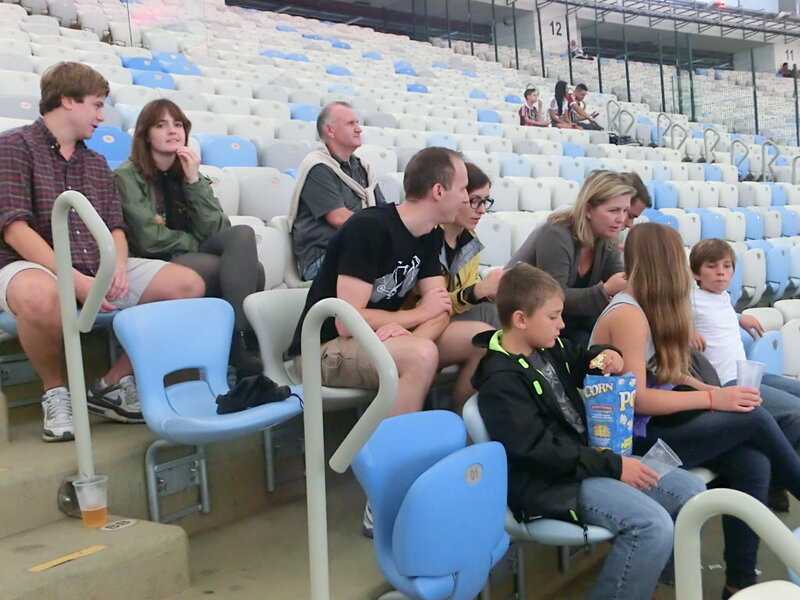 Our students from United States, Germany, Slovakia, Colombia and New Zealand enjoyed this nice opportunity and really liked the game without caring about the teams raking positions of the Brazilian Championship. 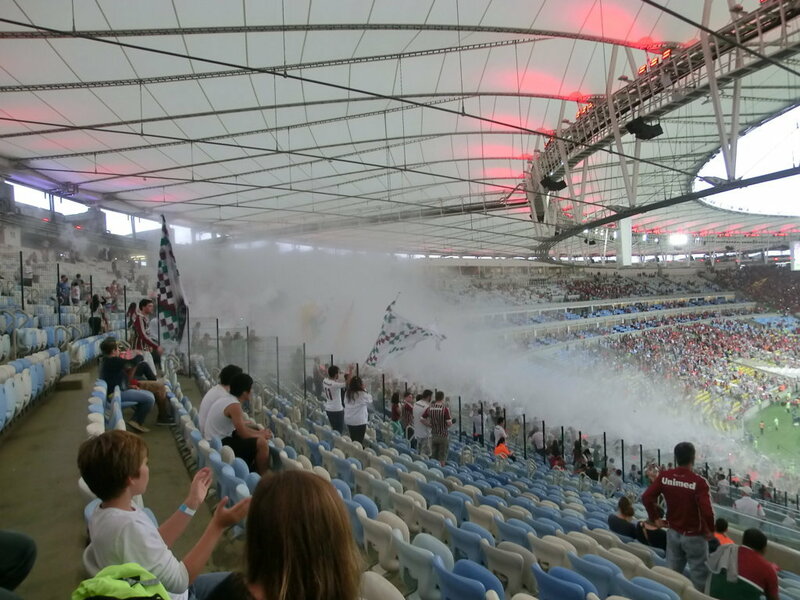 A game that any football lover would like to be part of. 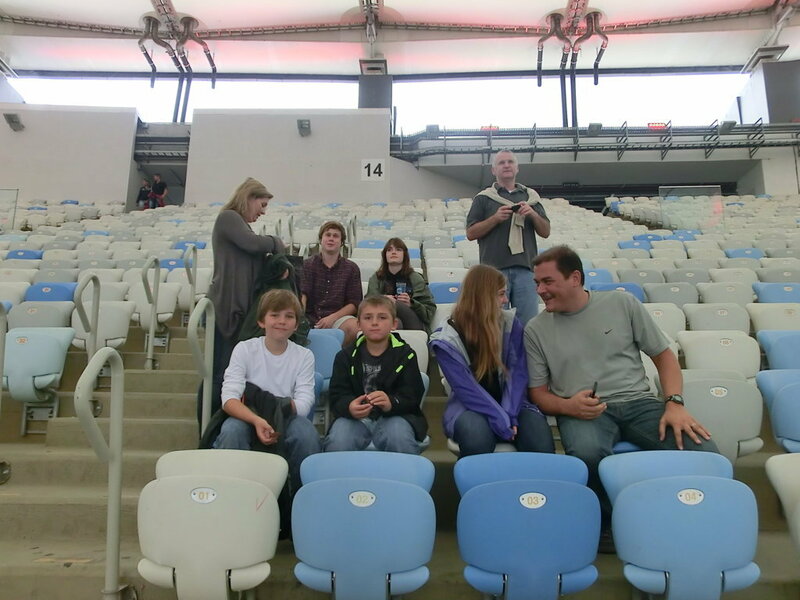 In the end, they really liked the space and were amazed with the new and modern stadium that was used as the place for the 2014 World Cup Finals. What about you? 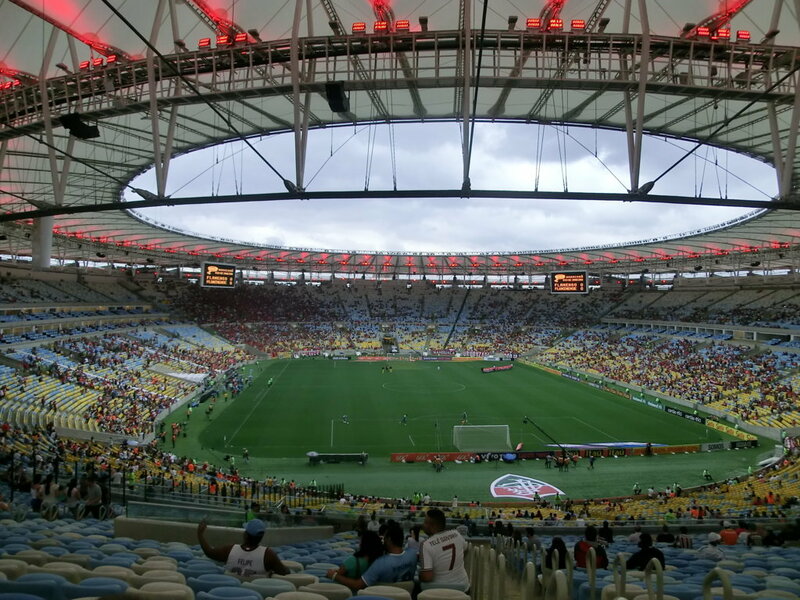 What are you waiting for to practice Portuguese and having fun taking part in our RioLIVE! Activities? 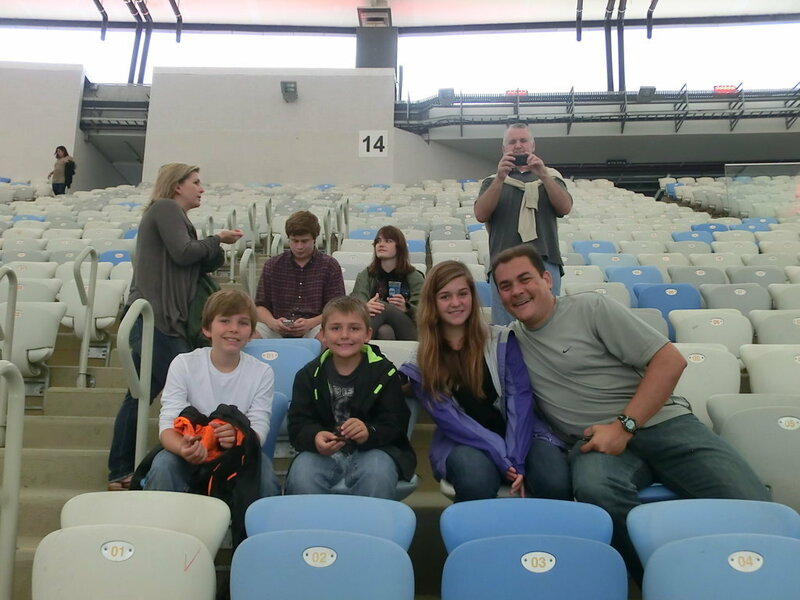 Our Portuguese students and their families on their way to Maracanã.